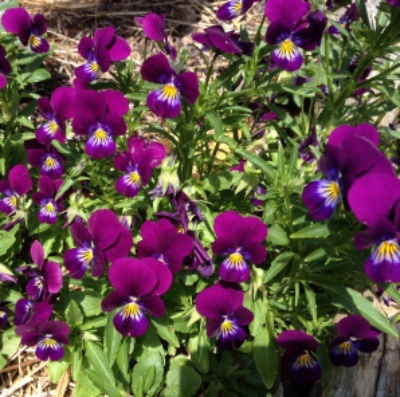 Pansies are members of the violet family, and produce beautiful, purple edible flowers with a wintergreen flavour that can be used to brighten up salads, soups or pastas. Young leaves and flower buds can also be eaten, and the leaves make a pleasant tea. They’re annuals, but if planted in a perennial bed they’ll happily self-seed.